In politics, there is no such thing as a reality. If people think a certain way of a party, this way of thinking becomes a reality that is set in stone. While polls aren’t always accurate, they give people a chance to see what others are thinking and it also gives a chance to see where people stand on policies and what perceptions they have of political parties. CBC’s Power and Politics recently hosted a new poll from Nanos that took a look at some of the issues floating around today and asked voters who they would be likely to support. The poll was conducted June 11 and 12 and took the answers of 1000 adult-age Canadians. While I’ve never taken polls that seriously, they can be influential and can say quite a bit about the mindset of the country. Because in politics, perception is everything. The one thing to note before we get started is that the Liberals are in last place among the major parties and the NDP are dominating – sorry to spoil it for you. Another thing to note is the level of uncertainty and the overall lack of confidence in any party as it stands. It was seniors that made the Conservative government, along with businesses and blue liberals, and it is seniors that are set to break the Conservatives as well. Recently, the Conservatives decided to raise the retirement age to 67 from 65 and senior poverty is still rampant in this country. One thing to note here is that among seniors, there is a higher amount of people who would rather none of the options than the Conservatives or Liberals. It is notable that the Conservatives have double the support of the Liberals and less than half the support of the NDP. The Conservatives recently cut healthcare funding for refugees which has sparked controversy. The Quebec government has imposed tuition hikes on Quebec students and they have been protesting ever since. Let’s see how this has weighed federal political parties. It is notable that in Quebec 11%, counted in Other is Bloc Quebecois and it is also notable that the Conservatives do better among the youth than the Liberals. Again, the level of uncertainty is one to note. 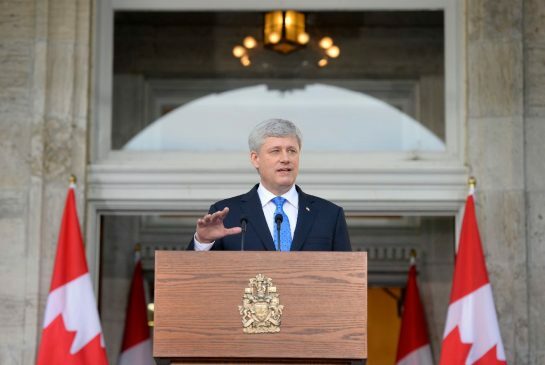 According to pollster Nik Nanos, the Conservatives should have a 15 point lead – which they don’t. There was a time when business was a perceived strength of the liberal party – not anymore. This number will be one to watch as the economy continues to be the main priority for Canadians, followed by Healthcare. Conservative EI reform is set to restrict who can get access to the insurance they work into and is widely controversial. Let us not forget that the Conservatives raised EI premiums not too long back – thus taxing jobs.In this case, the Liberals are very weak and as more people get laid off, the Liberals will continue to feel the brunt. 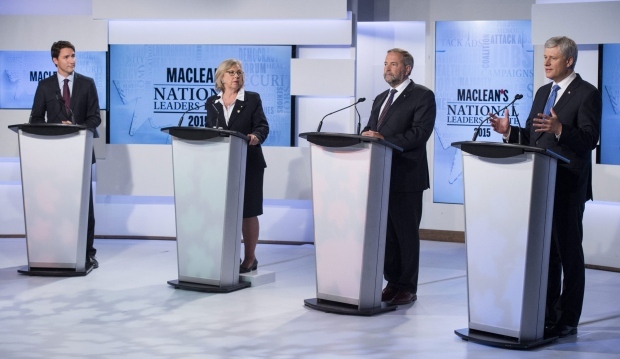 Meanwhile, Thomas Mulcair’s NDP are fairing the best. If a politician said that taxes would have to increase in the future to pay for the deficit spending we are incurring in the current economic situation, would you have a positive, somewhat positive, neutral, somewhat negative or negative impression of that politician? More than half of 1000 adult-age Canadians surveyed between June 11 and 12 are against tax hikes to fixing a budgetary mess. One interesting thing to note is that only youth between 18 and 29 have a greater tendency to support tax hikes than other age groups but this support is sharply counter balanced by those who are firmly and somewhat against tax hikes. Perception is everything and as it stands the NDP have everything but taxes going for them. The Conservatives are starting to pay the political price because never before were Canadians directly effected by their decisions. The Liberals will have a lot of work to do if they intend to be perceived as a relevant party that has practical solutions. Their last platform dug them under. Perception is everything and the level of uncertainty and dissatisfaction is high. Can any party make gains as they stand or will those undecided end up going to the none of the above category? Amid an upcoming cabinet shuffle, Conservative Senate Leader Marjory LeBreton has resigned the cabinet and a few other Conservative MPs have indicated they won’t run for re-election. 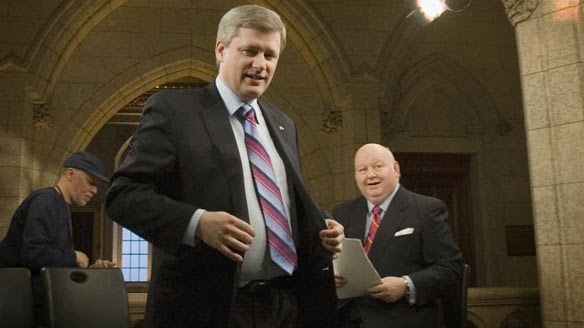 The spring sitting was mired in scandal and the upcoming cabinet shuffle may be Harper’s only hope at reviving a severely tarnished brand.